Hiya everyone! I hope you had a great start in year 2016. I wish you all a happy, healthy and a prosperous year ahead. After working so hard for over 3 months, I am enjoying my days off. We were traveling to visit family and unfortunately it hasn't been as relaxing as I thought it would be. Now that I have less than a week before the lectures start, I am trying to make the most out of it. This is why I have been a little silent on blog and social media front. But here is a little bit of a spoiler, there are super pretty products I would like to show you in the next days. I will most probably start with Suqqu Spring. These are so gorgeous, I can't wait to show you! Also Guerlain Spring will follow, I am waiting for the embargo to be over for that one. I post very rarely about what I loved using most. I hope you like these type of posts. I would like to mention the make-up items which I reached for most often during last year. I will start with eyes and cheeks today and follow it with foundation, powder and lipsticks tomorrow. Let's start... as usual after the jump. Chanel 4 Ombres #236 Tissé Fantasie: This one came with the Spring 2015 Collection. I always emphasize how much I love Chanel's Tissé formulation and Fantasie has exactly that and even more, a very interesting color combination. (reviewed here). Givenchy Palette Metal Reflection: I didn't mean to purchase this one since we don't have a counter close by and all the other palettes I have tried from Givenchy felt very dry and prone to fall out. Some of my long term readers including Jane and Hara and Noodles in Instagram, pointed me in its direction when I posted about some other Givenchy make-up lately. I am so glad they did. This one is my dream palette. It is so shimmery but doesn't produce any fall out. It looks like wet on the eye lids and the shades are to die for. I didn't review it since it is from Fall Collection and mostly sold out. I located a shop in Germany which still has it in stock. I might have to back up. Tom Ford Cheek Color in Frantic Pink: This is my go-to blush for so long. This year I made such a dent in that, I am afraid I might hit the pan soon. Luckily it has a generous amount (8 g) of product in there. Big love, no review yet. I think I will review all the Tom Ford Blushes at once, after I find a time between LEs. MAC Accentuate/Sculpt Sculpt and Shape Powder: This one came with MACneficient Collection (reviewed here) which, to me, one of the best MAC Collections of the year. I loved the eye palette in there too. Sculpt is a permanent item and if you don't have it yet, I recommend you check it out. It is not as dense as Kevyn Aucoin one so works better on a daily basis. I compared them before here. I like this duo more than the single Sculpt powder though since the second part helps me to blend the edges for a very natural looking contour for the day. Stay tuned for the rest of the favorites. I would love to hear what you reached for most this year. After last year most of my best purchases were after the recommendations of you. Happy New Year! I hope you have a happy, healthy and peaceful new year. I enjoy seeing your favorites from the year. Happy New Year! TF Frantic Pink is one of my fave blushes ever too! 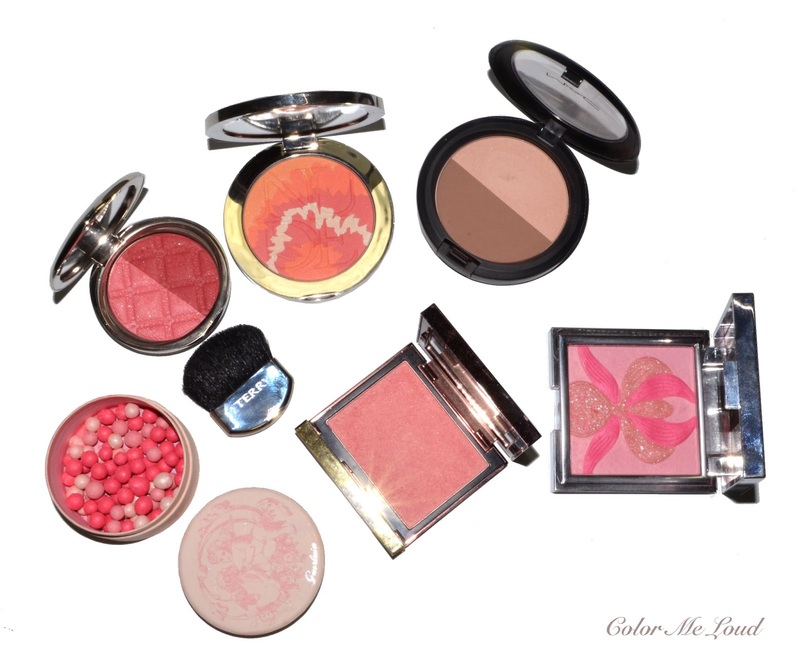 Blush: definitely Dior Pink Sunrise and Coral Sunset (I reach for both a lot! ), Tom Ford Love Lust (my first TF blush! ), and Chanel Alézane blush. I also really loved the blush sticks that Chanel and Dior released this year. Eyes: Dior Contraste Horizon and Ambre Nuit, Chanel Entrelacs (I know you disagree :-P), and the By Terry Ombré Blackstar shadow sticks I picked up in the States: Bronze Moon, Frozen Quartz and Misty Rock. They have the most beautiful shimmer! I have high hopes for the Foiled Shadows I purchased from the MAC Faerie Whispers collection, which technically count as a 2015 purchase, but I haven't really had a chance to play with them yet. Wonderful post-- I love the Sisley blush which I got after your posted on it-- also the Dior Rosewood blush stick, and Chanel Vibration. For eye palettes, I do get a lot of use out of YSL Black Addiction, KA passion single over the Rouge Noir Khol, and as much as I hate to admit it Lancome Beige Brûlée-- a cool neutral beige quint that is so baseline wearable. Hello my beautiful Sara and Happy New Year! Thank you for mentioning my small contribution to your Givenchy love! Haha! Sisley in dreams eye palette! Seriously one of my most used all year and you made me bought it! Then Givenchy Vinyl! Amazing texture and shades! Definitely a must! Tisse Fantaisie! I found it the previous week on 30% sale and I searched for your review in order to pick it or not Hahahahaaa so glad it made it to your top list! I didn't have the chance to buy anything from Suqqu Fall but as far as I can see there is still stock so maybe I invest later! 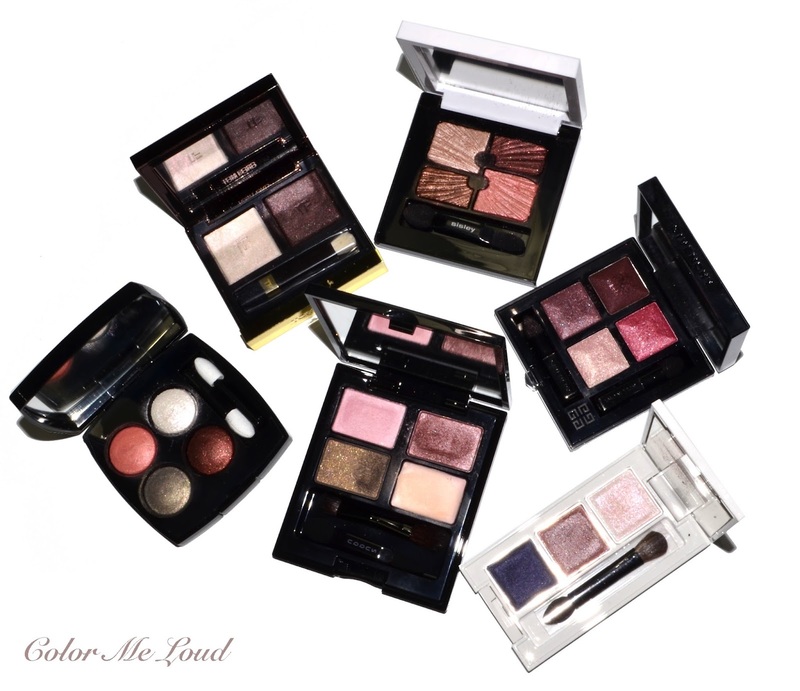 Suqqu summer palettes were my go to palettes during summer in Greece and during Fall ! Again thanks to you! 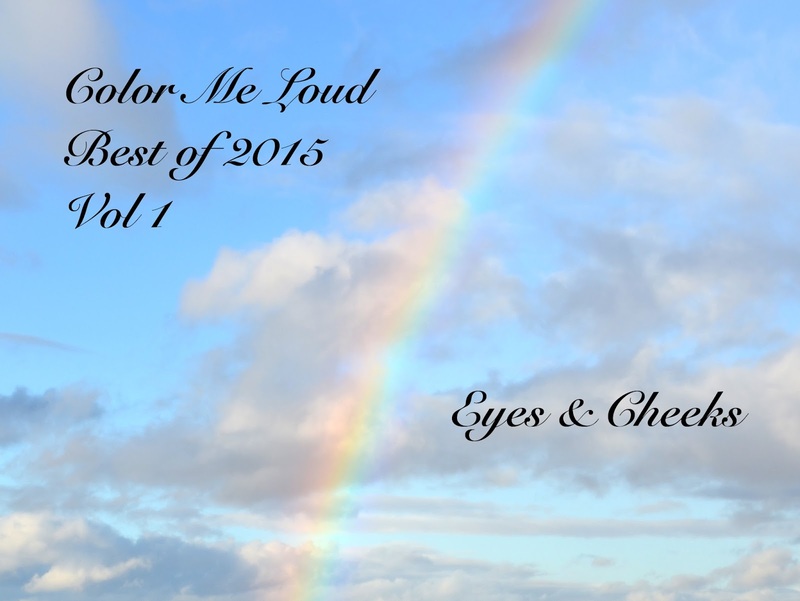 I could add also rouge noir and rouge gorge IDOs along with Tisse D Autumne which really impressed me and then for me the top release this year was TF Pink Glow eye and cheek palette! Amazing release !!! Well I would say that one of my favorite was Givenchy It Girl Purple blush! Amazing formula long wearing and beautiful packaging! I totally recommend it! Dior tIe dye edition blushes didn't impress me that much to tell you the truth! I really loved the pattern but I swatched them and the result was quite lifeless on my complexion especially the pink one that I was eyeing! maybe on cheeks they would me better but I skipped! I already ordered the Fall highlighters and the blush since I adore the flower motif but I will wait for the Blue Garden one to swatch it first ! I so loved your review for the best of the year and I'm looking forward to the rest of your best of ! love this post Sara!!! i agree the TF Spring Duos are insanely pretty. i adore all three. i also feel in love with the Sisley eye shadow singles (i forget what they are called). they are FANTASTIC. very pigmented, incredibly easy to work with, and long lasting without creasing even with oily lids. I can totally understand you :-)) I am thinking to buy a back up just to feel safe that in case they discontinue it, I had life long reserve haha. I know the new quads are looking all kinds of pretty, can't wait to try them out! Thanks so much. I should do more favorites posts. It is the time when I can say which of the items were really worth it. Maybe end of the moth a favorites would also be good right? Spring Duos are so pretty! I also love all three and wear them very frequently. missed chatting with you. Hoping to bounce back once the semester is over, I am so exhausted. I also got the warmer Sisley blush and loving it too, have to review that one. Dior blush stick! yes, forgot that, I love that too! I need KA passion single too. Thanks so much Jenni. By Terry blushes are so beautiful, Tisse Fantasie is to die for. Wish you a lovely 2016. You are the blush queen, if you say that, then it is THAT serious :-) It is holy grail. Thank you so much Tatiana, I wish you a wonderful year ahead too. Just typing the second part of this post now, hope you like that one as well. I can definitely add Chanel's Autumn shades as well. I needed to select just a few to be able to capture everything in one photo but you are so right, Tisse Autumne is all kinds of fabulous. TF Pink Glow eye and cheek palette too, and Pink Sand (I think that is the name) cream blush from that collection with Rose Soleil Lipstick. I also recently got the coral Sisley blush, will have time to snap a few photos and review :-) Dior Tie & Die don't swatch very well but they apply good. I had these with me for holidays and used them very frequently. You didn't miss all that much though. I think the regular blushes of Dior have a better formula. Thanks so much for your comment, I love reading it, the longer the better!! Don't make them shorter please. My two misses were certainly YSL Metal Crush and Armani's Eye Tint from Holidays which I brought back. I also brought back a few other items which I hated. I am happy I don't have them here to show haha. Nice selection! That Sisley eyeshadow palette is really so beautiful... the shadows are glowing! In terms of blush one of my favorites this year was Lancôme Blush Subtil Crème that came out with the Summer collection, I got it in Corail Alizé and I really loved that shade. For the eyes I'd pick Smashbox Double Exposure palette. It's not perfect but it has some fantastic shades. So many of my favourites here!! I just took Tisse Fantaisie out for a spin... it deserves much more loving! Not particularly feeling this year's Spring quad from Chanel... Looking forward to seeing the rests of your picks! Ha ha...well "need" might be a strong word, since realistically, do any of us NEED another eyeshadow palette? :-P However, I will say that I really loved Contraste Horizon for summer. The gold, bronze and teal shades, which were the ones I used the most, were all buttery and easy to work with, and together I found they created an easy, bright summer eye that was fun but not over the top. I also found lasting power to be very good on my oily lids. Of course you got the purple Foiled shadow! ;-) I got it too...so beautiful. I actually bought all of them except two: I passed on Feminine Wiles (pale pink) because I found it was pretty glittery when I swatched it, and Faerie Fayre (red-brown), because I felt it was too warm for me. Ooh, the Givenchy palette. I missed out on this one because I completely forgot about it. :\ I searched high and low for it, but was never able to locate any remaining palettes. How lucky you are to have a seller that still has it in stock! where are you living. If you want me to pick one for you, just send me an e-mail. I think you can still find it. Or wait for the super duper palettes which are coming our way. They look so interesting, can't wait! I should take out Tisse Fantasie too. I am skipping this year's Spring Collections, including Dior's which looks very pastel and Chanel's quad too although there is a purple in there. I will swatch and see. Oooh Double Exposure. I have this one, it is waiting to be photographed. Now that you say you love it, I can't wait to try it out. Thanks for the recommendations.